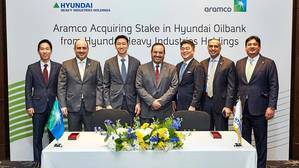 According to a press release, Saudi Aramco's subsidiary, Aramco Overseas Company B.V (AOC) will purchase a 17% stake in South Korea's Hyundai Oilbank, a subsidiary of Hyundai Heavy Industries Holdings. AOC's's investment in South Korea's Hyundai Oilbank will support Saudi Aramco's crude oil placement strategy by providing a dedicated outlet for Arabian crude oil to South Korea. Abdulaziz Al-Judaimi, Saudi Aramco's Senior Vice President of Downstream, said: "Saudi Aramco continues to strengthen its position in the downstream sector. This acquisition demonstrates our investment in the highly complex refining sector in Asia, and continuous commitment to the region's energy security and development." Judaimi added: The investment supports Saudi Aramco's broader downstream growth strategy, as well as providing long term crude oil placement supply options and product offtakes as part of our trading business. Hyundai Oilbank is a private oil refining company established in 1964. The Daesan Complex, where Hyundai Oilbank's major facilities are located, is a fully integrated refining plant with a processing capacity of 650,000 barrels per day. The business portfolio of Hyundai Oilbank and its 5 subsidiaries includes oil refining, base oil, petrochemicals, and a network of gas stations.